Welcome to East Lothian! We look forward to working with you in the near future. 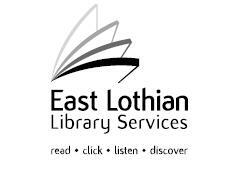 This is a short guide to the range of services and facilities East Lothian Libraries can offer you, and a brief description of how we might work together. Membership of the Library Service is free, just pop into your nearest library with proof that you work or live in East Lothian and join up! You can select from a wide range of books, of course, as well as newspapers, magazines, music on CD, talking books, language courses and DVDs. Check the on-line catalogue from home, at work or in the library. All libraries in East Lothian offer free access to the Internet and Microsoft Office software. Encyclopaedia Britannica Full Library Edition. Britannica Online Student is aimed at students aged 12-18. NewsUK – access to a wide range of daily and weekly newspapers. SCRAN – East Lothian Libraries have a full subscription and this vast online collection of digital images and other material of historical and cultural significance is now available at any PC in your local library. Every term, the Schools Library Service provides materials to support your projects in the primary school classroom. Contact Susan for more information (tel. 01620 828213). enjoy the sheer pleasure of books and reading. making homework packs available in your local library based on your current project.